June 27, 2012.- Statkraft Markets GmbH, a mayor player on European energy exchanges, is using AleaSoft price forecasting models. AleaSoft forecasting service was chosen on the basis of the quality demonstrated in product trials. Statkraft Markets GmbH, with offices in Düsseldorf (Germany), is actively participating in the shaping of a thriving pan-European wholesale, spot and forward market for power, fuels and CO2. The company serves as a centralized trading hub for Germany, Austria, France, Switzerland and the Netherlands, and also operates in the Spanish OMEL market. AleaSoft offers price forecasting models (“AleaPrice”) for European Markets, such as OMEL, Powernext, IPEX and the German market. Models are based on Neural Networks and Statistics methods, with automatic learning algorithms that capture the dynamic nature of price, identifying peaks, setting and maintaining the models updated when trend changes occur. Each model is personalised to the particular features of each market and is regularly checked by AleaSoft experts. “AleaPrice” models can be installed on the client site or can be offered as a remote service. With this new contract, AleaSoft reinforces its leading position as provider of electricity prices forecasting solutions. 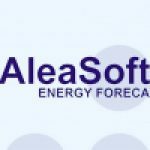 AleaSoft already has a group of important customers using its price forecasting models (including Endesa, E.ON-Spain, Gas Natural Fenosa, Electrabel – GDF SUEZ, E.ON-Italia, Iberdrola, Shell, BBE, FORTIA, Italgen, Elektro Ljubljana, etc. ).